P160 Torch parts,P160 water cooled Torch,Plasma Consuambles p160. 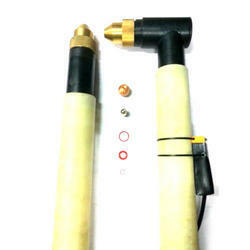 We are one of the leading manufacturers of this range of best quality P160 Plasma Cutting Torch that can be availed from us in the most comprehensive and competitive prices. The major purpose of this range is to assist and make plasma cutting more easy and hassle free. We offer this range in a wide variety of specifications. Made available in a wide variety of dimensional sizes and thickness the offered range of Heavy Duty Water Cooled Plasma Torch can be availed from us at the most comprehensive and market leading price range. 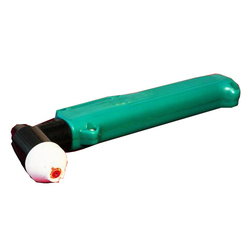 We have made use of only high grade and purity tested copper and other such material in the making of this torch. It has been given an easy to handle grip and offers a longer service life. Owing to the immense experience and a competent team of professionals, we are able to offer a comprehensive range of Water Cooled Plasma Torch. This torch is widely preferred in a number of industries for optimum cutting practices of thick sheet metal. 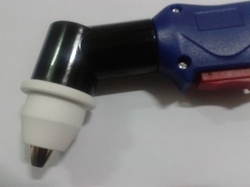 Customers can chose from a wide number of specifications available;e in this special cutting torch. Precise usage of this torch is recommended. Looking for P160 Water Cooled Plasma Consumables ?